New York City tourism officials are making sure tourists from Mexico know they’re still welcome in the Big Apple. Representatives from Mexico City’s Ministry of Tourism and NYC & Company, the City’s official destination marketing organization, have renewed a city-to-city partnership agreement aimed at boosting tourism between the two largest North American cities. Visitors to New York city from Canada and Mexico are declining in the wake of President Donald Trump’s harsh statements about Mexicans and tough immigration policies. The one-year alliance signed Wednesday includes a collaboration agreement between the two destination marketing organizations, the sharing of best practices in tourism marketing and the exchange of marketing assets to boost reciprocal travel. In Mexico City, New York City tourism promotions will appear across multimedia channels while some public transit shelters in New York City will promote Mexico City tourism. The two organizations will also collaborate on ways to boost travel through travel offers and incentives provided by third-party travel providers between Mexico City and New York City. This partnership agreement was first solidified four years ago. Late this month, in conjunction with the city-to-city partnership announcement, NYC & Company is also launching an integrated marketing campaign in partnership with Best Day Travel and media partner JC Decaux. 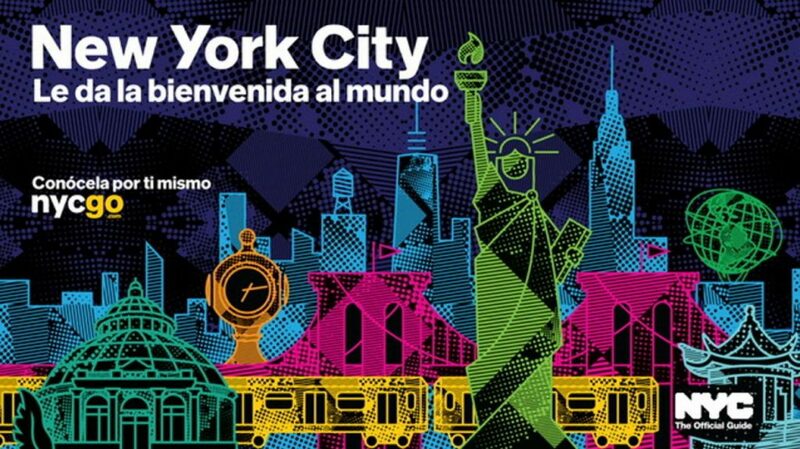 The advertisements will include the “New York City – Welcoming the World” (in Spanish: “New York City – Le da la bienvenida al mundo”) messaging and will include the promotion of a discounted air and hotel travel package plus incentives for travel from May 1 to July 31. The campaign is valued at $900,000 USD and will run from April 25 to July 3. Mexico City Tourism will be working with its flagship airline partner Aeromexico to offer future travel incentives for visitors from New York City to Mexico City. Aeromexico was on hand at the signing ceremony. In 2016, New York City welcomed 449,000 visitors from Mexico, the City’s 9th largest source of international visitation. According to DGAC (Dirección General de Aeronáutica Civil) General Administration for Civil Aviation, in 2015, 669,000 passengers traveled to Mexico City using New York as a point of origin compared to 303,000 that traveled during 2014, representing a 120.5% growth year over year.